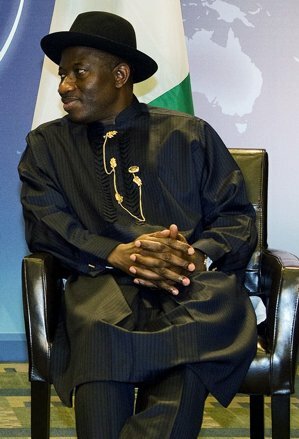 afrol News, 7 October - As Nigerian President Goodluck Jonathan has ruled out that rebels from his own Niger Delta region stood behind the car bombs on independence day, government directs suspicions towards the Muslim north. Even Islamist terrorists are suspected. President Jonathan did not need a long time to be convinced by the leaders of the MEND rebels of the Niger Delta, his own home province, as they insisted on their innocence after the twin car bombs. Already on Sunday, two days after the bombs, the President stated that "investigations show" MEND was not behind the blasts. At the same occasion, President Jonathan indicated "it is a small terrorist group that resides outside Nigeria that was paid by some people within to perpetrate the dastardly act. We are on their trail and I promise Nigerians that the matter will be investigated to the last," he added. Shortly after, the first accusations against the President were made, claiming he was too quick to eliminate the MEND rebels and intended to blame the northerners. Claims emerged that an aide of President Jonathan made calls to allies to "blame the 1 October bombings on Northern politicians." The accusations obviously were taken seriously among many Nigerians and were widely referred to in the local press. Given the increased suspicion between the north and south, the rumour that Muslim leaders should be blamed spread especially quickly. The Presidency had to react. The accusation against the Jonathan government "of course is an outright lie," spokesman Ima Niboro said in a press statement. The man spreading this rumour, Henry Okah, himself had "been openly charged for masterminding the terror attacks against his home country," the Abuja presidency added. Meanwhile, another wave political violence, including the killing of prominent northern politicians, is put in connection with the car bombs. The killings again are being blamed on the Boko Haram Muslim sect, often referred to as radical Islamists based in northern Nigeria. Boko Haram is linked to an uprising in northern Nigeria last year. The group is repeatedly blamed for political violence by local authorities in the north. Their alleged misdeeds include the attack on a prison and the killing of police officers and politicians. For President Jonathan, the suspicions against Muslim groups are harmful, whether proven or not, as many northerners may conclude on a southern conspiracy. The ever-present north-south conflict in Nigeria in any case is accentuated by President Jonathan's announced candidacy in the upcoming elections. According to tradition, a southerner is now in line to become Nigeria's next President.